This Mantap / Shrine is built in the same style as the palaces of King Vardhaman 1 of the Pulakeshi dynasty. 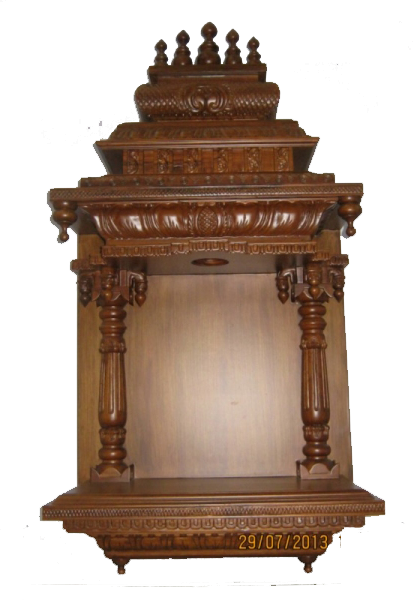 This mantap is supported on two pillars and consists of five tiers totally carved from top to bottom with intricately carved pillars, supporting pillar sections holding the roof of the mantap. This mantap is designed in shape of a window and can be hung on a wall or placed before an alcove / niche to house an idol.